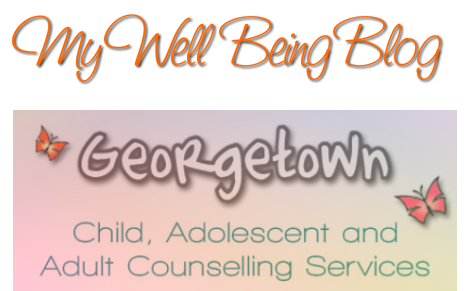 Welcome to the My Well Being Blog! This blog has been designed for people who are wanting to improve their lives by taking on the troubles that can affect our daily happiness. With today being so fast paced and chaotic, many of us, from any age, can suffer from debilitating mental health issues. Sadly, many mental health issues are not visible, but can hurt just as much a broken leg or arm. People have no idea the strength it takes to push through the days when we just feel we've had enough. This blog has been created to help people to remember the positive aspects in life, to find some motivation and inspiration to continue their journey towards a better mental well being. Articles, inspirational quotes, creative ideas, and so much more will be posted on every category and sub-category that relates to the condition listed. Disclaimer This blog is not intended to replace regular therapy with a qualified professional. This blog is to offer insight to conditions that afflict many, with information and inspiration. This is not intended to replace therapy. Furthermore, if you are feeling desperate, feeling that you may harm yourself or others, please contact 911 for immediate assistance. Remember, you are never alone.